Salinomycin (SAL) is a polyether compound that exhibits strong antimicrobial as well as anticancer activity. Nanomedicine has been at the forefront of drug delivery research with the aim of increasing the efficacy, specificity and reduce toxicity of drugs. There is an intersection between infection and cancer, and cancer patients are prone to bacterial infections. In this study, polymeric micelles were prepared using Pluronic® F127 (PM) to encapsulate SAL (PM_SAL) with the view of enhancing antimicrobial and anticancer activity. A Quality by Design (QbD) approach was utilized to synthesize PM_SAL, and nanoformulation activity was determined against bacterial (S. aureus, MRSA and E. coli). Effects on cancer cell line A549, i.e. cell viability, prevention of P-gp efflux, vimentin expression, effects on migratory ability of A549 cells. Anticancer activity was determined by ability to eradicate cancer stem-like cells. PM_SAL demonstrated only efficacy against MRSA, being even higher than that obtained with SAL. In A549 cells, a 15-fold increase in P-gp’s expression as well as a significant decrease of the cell’s migration, was observed. PM_SAL can interfere with the oncogenic protein VIM, involved in the crucial mechanisms EMT, downregulating its expression. Altogether data obtained indicates that this antibiotic and the developed polymeric micelle system is a very promising inhibitor of tumor cell growth. Professor Mafalda Videira acknowledges the European Comission and the Fundação para a Ciência e Tecnologia (FCT), Portugal, for funding the projects “NanoGlio - Nanotechnology based immunotherapy for glioblastoma” (ENMed/0065/2016) and “Target4Cancer - (Nano) systems with active targeting to sensitize colorectal cancer stem cells to anti-tumoral treatment”. (ENMed/0009/2015): March 2016–2019″ and COST Action MP1404, “SimInhale”. The work was funded, in part, by iMed.ULisboa (UID/DTP/04138/2013) from Fundação para a Ciência e a Tecnologia (FCT), Portugal. Fda, Cder, Purdie, Florine P. Waiver of in vivo bioavailability and bioequivalence studies for immediate-release solid Oral dosage forms based on a biopharmaceutics classification system guidance for industry. 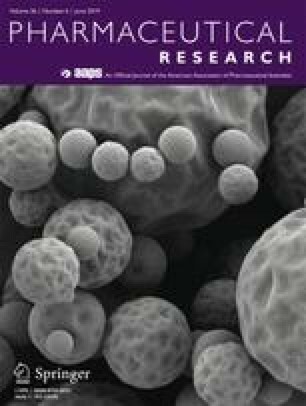 2017 [cited 2018 Jun 21]; Available from: http://www.fda.gov/Drugs/GuidanceComplianceRegulatoryInformation/Guidances/default.htm. Accessed 20 June 2018.